In Mobile Mondays, GameLuster staff write about the mobile games they are currently playing and think you should check out, too. It is an understatement to say that 2018 was an amazing year for video games. What you might have overlooked while throwing the Leviathan Axe in God of War or roaming the Great Plains of Red Dead Redemption 2 is something right inside your pocket: mobile games. Among the blockbusters that are Candy Crush and Angry Birds are a variety of delightful gems that GameLuster will be following in our new Mobile Monday series. So, to kickstart this new series, I am going to break down my top five mobile games of 2018 that you might have missed. A snapshot of the almost welcoming desk from Rusty Lake. Rusty Lake is an indie game studio that previously created eight episodes for their puzzle game title Cube Escape that are all free on the iOS and Android stores. One goal that Rusty Lake has for their games is to create suspense similar to television. The studio wants to create their Cube Escape games with stories that will have players on the edge of their seats for the next chapters. 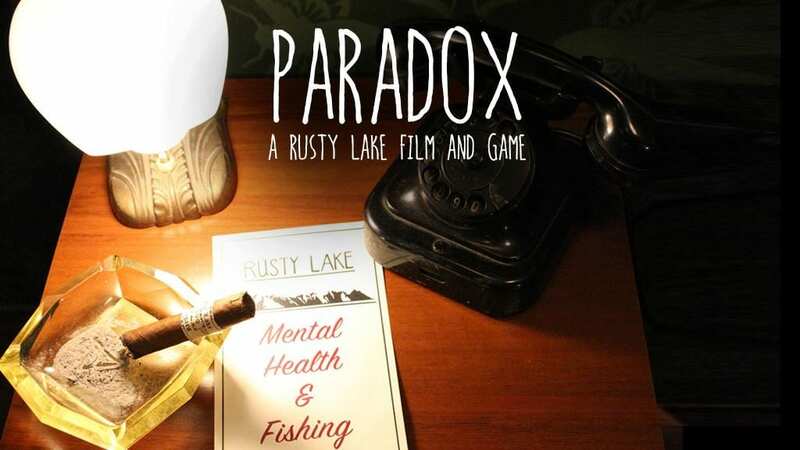 This concept comes to life in a new way with Cube Escape: Paradox, which combines both a game experience and a short film titled Paradox which has clips featured within the game. You play as Dale Vandermeer, who must solve the various puzzles laid out in the room presented just like with any other escape room game. The mechanics are simple but the puzzles and scary elements from the film create a unique experience. This game is perfect for those who enjoy puzzle games and hair-raising mysteries. All of the Cube Escape games are great but this installment really takes the cake! Check out Cube Escape: Paradox for free on Android and iOS. Some of the iconic characters from Brawl Stars. From the masterminds that brought the world the wildly successful Clash of Clans and Clash Royale comes a new quick-paced, free-to-play multiplayer game. After 18 months in a soft-launched beta, Brawl Stars officially launched and took the app store by storm. In this cartoon style shoot-’em-up you can play as a variety of characters in multiple game modes. As you progress in the game you get the ability to unlock a total of 5 game modes. There is Gem Grab, a 3v3 mode where one team must collect and successfully hold onto ten gems from the middle of the map. There is also the Heist mode where teams of three must protect their safe while trying to crack the safe of the opposing team. Additionally, there is Showdown, the battle-royale mode available in solo or duos, a goal-scoring Brawl Ball mode, and Bounty, a 3v3 mode where taking down opponents earns you stars that can take your team to victory. Switching between all of these game modes is flawless and allows for an experience where choosing what kind of game you want to play is simple. By including so many different modes Brawl Stars creates a unique model that will keep you coming back for more. Brawl Stars presents a nice breath of fresh air when there are so many battle-royale style games to choose from on your phone. Check out Brawl Stars for free on Android and iOS. Charlie in her element: the preparation room. Death is never easy to deal with, that is for certain. However, the way modern society views deaths and funerals tends to be on the more negative or creepy side. A Mortician’s Tale is here to challenge that idea with a death-positive, narrative based game. Originally released on Steam and itch.io, this game made its way to mobile late last year. You play as Charlie, a recent graduate from a funeral director program. Gameplay involves interacting with bodies of those who have passed as you prepare them for burial. You will also interact with the living: your coworkers and funeral attendees. A Mortician’s Tale provides a more lighthearted look at what is the hardest moments of others’ lives. Additionally, it tells the story of small versus big businesses and self-discovery through the narrative involving a large corporate takeover. It’s a short playthrough that will have a lasting impression and might just make you look at death a little differently. Check out A Mortician’s Tale for $2.99 on iOS. Snapshots of love from Florence. Not all mobile games need to involve multi-hour play sessions. For a beautiful story like Florence, you need only 30-45 minutes. In this game you play as a young woman while she experiences the life cycle of a relationship. Florence achieves a beautiful marriage of storytelling and gameplay to make you feel more emotions in the short time playing than you might in a feature length film. It should come as no surprise given that Annapurna Interactive has announced their goals to create nontraditional games, so Florence can provide a wonderful experience for someone who has never played a game before. If you haven’t already encountered the beauty of this game, then it is certainly a must-buy for anyone who has ever been in love. 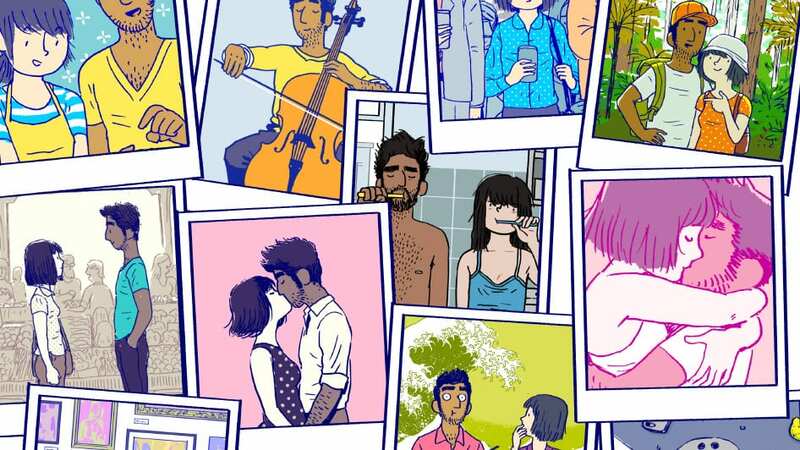 Check out Florence for $2.99 on Android and iOS. BK is ready to deliver donuts, or maybe just holes. Every game on this list deserves your attention and download, but none more so than Donut County. In a game where you are a hole in the ground, it may not seem like a content-heavy title, but this story-rich romp in the park will have you laughing all the way to the donut shop. This refreshing puzzle game features beautiful music, easy gameplay and a variety of animal friends including the beautiful raccoon BK. For more information about how amazing Donut County is and how it made its way to number one on this list, as well as number one in my heart, check out my review! Check out Donut County for $4.99 on iOS. Stay tuned for even more great mobile games every Monday! Develop or play a mobile game you’d like covered? Let us know about it in the comments or send us a message here.